We know that many of you are looking for bed liners for your brand new 2019 Dodge RAMs, and we are doing our very best to bring you the best product on the market. DualLiner is tirelessly working on the design and engineering of our custom fit 2019 Dodge RAM bed liners, however, perfection comes at a cost of time. While our new RAM bed liners are not ready just quite yet, we assure you that our team is working as hard as they can to bring you the quality of bed liner you have come to expect from the DualLiner name. 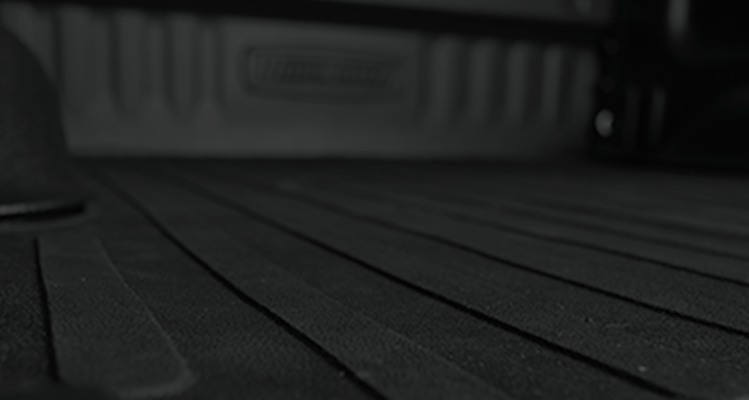 That means a bed liner that offers a completely perfect custom fit, ultimate protection for your truck bed and cargo, our Zero-Skid bed mat technology, and of course an aesthetically pleasing design to match your new truck. What Goes Into Designing A Custom Fit Bed Liner? When designing a bed liner for a new truck model, we have to consider every single element of the bed, that is the only way we can offer the true custom fit that DualLiner bed liners are known for. This means any small change to the bed could lead to a complete re-design of our product to ensure proper fitment. If the bed length or width changes, obviously the bed liner must be adapted to fit properly. However, smaller elements such as number of tie downs, tie down location, groove styles, groove depths, changes to the tailgate, changes to the wheel wells, or any other change you can think of, can all bring about need for a re-design. While these changes may be very minor in the grand scheme, they have a large impact on the way that our bed liners will fit your truck. What’s Different About The 2019 Dodge RAM? While the changes to the 2019 RAM truck bed have not been overly drastic, there is enough change to require a completely new bed liner design. Among some of the notable changes are a change in the shape of the wheel wells, the addition of pillar columns around the wheel wells, and a curved shape at the tailgate. The 2019 RAM truck bed also features different patterning than the 2018 and previous models did, which again has an impact on the fitment of our bed liner. All in all, the changes are relatively minor, but they are impactful enough that a new design is needed to provide you with the quality of product that DualLiner is known for. How Will I Know When 2019 Dodge RAM DualLiner Bed Liners Are Ready? First of all, as soon as our 2019 Dodge RAM bed liners are available to be purchased, they will be listed and available on our site. This means that you will be able to find them on our Dodge Ram page, or by searching for your specific truck on our site. However, we know that many of you are patiently awaiting our 2019 bed liner line in order to protect your new RAM properly. If you would like to be updated, you can sign up with the form below, and we will let you know via e-mail when these bed liners are ready and available, or other significant updates have been made. We truly appreciate your business and patience, and we hope you will be as satisfied with the upcoming 2019 RAM bed liners as we are. What Is Your 2019 Dodge RAM Model?